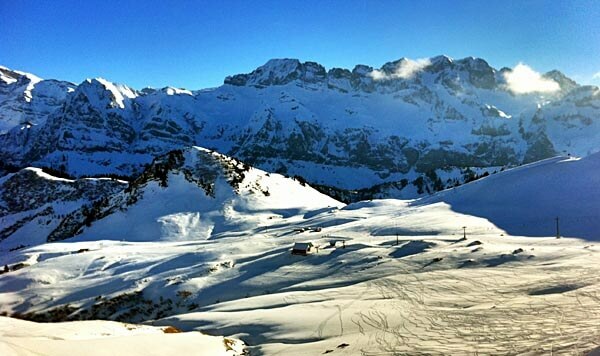 Ski holidays in switzerland are world class in every way. Switzerland offers exclusive resorts with excellent restaurants, breathtaking vistas and the finest skiing. Even non-skiers can have a great time with the abundant after-ski action. The Swiss have been hosting ski breaks for centuries. They have perfected the art of welcoming people to their mountains. Switzerland has dozens of ski resorts. Each has their own charm and individuality. Here are a few of the best-known. Superb skiing awaits skiers of every skill level at Davos, where there are six separate ski areas spread over 320 square kilometers. Bünda and Bolgen have excellent bunny slopes. Pischa has easy blue and red runs. There’s a challenging 12 kilometer intermediate run that stretches from Weissfluhgipfel to Küblis. Jakobshorn and Rinerhorn have exciting black diamond runs. Jakobshorn also has gnarly half-pipes and jumps for the thrill seekers. Snowboarders love the back country, off-piste acreage. Davos has 75 kilometers of prepared cross-country trails. Known for year-round skiing, picturesque vistas and enchanting chalets, the village of Kandersteg has maintained its charm while still offering everything a skier could desire. The atmosphere is laid-back and friendly. Beginner skiers will feel especially at home on the easy slopes. Nearby Lauchernalp has 25 kilometers of runs for all levels. Cross-country trails run from Kandersteg to the frozen lake at Oeschinen and beyond to Sunnbuel. Some hotels have direct access to the trails. With the looming north face of the Eiger as background, Grindelwald is a traditional resort with a modern feel. From the central village, all the ski areas in the Jungfrau ski region can be reached by gondola, cable-car and mountain train. 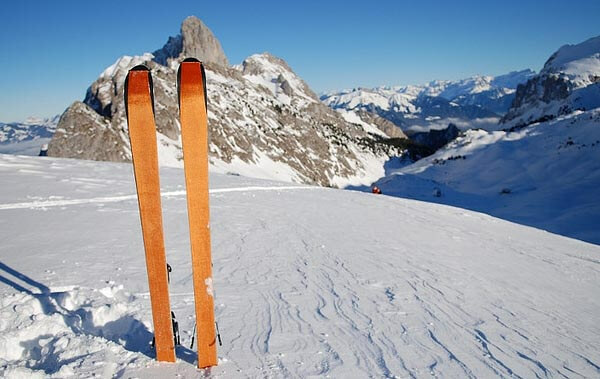 With some of the most spectacular scenery in the world, Grindelwald is best-known for its “First” ski area. First boasts an extensive series of beginner slopes and wide blue runs. Intermediate skiers love the long red runs at First and Kleine Scheidegg. Advanced skiers can challenge themselves on the numerous black runs. Snowboarders will find a warm-up course at Oberjoch, a superpipe at Schreckfeld and a terrain park at Bärgelegg. Grindelwald also recently added the thrilling 'First Flyer' zip cableway. Stashed away in the beautiful Engadine valley, St. Moritz is a resort and a vacation getaway for the wealthy. All levels of slopes offer never-ending excitement to visitors. The frozen lake is surrounded by 350 kilometers of varied runs with breathtaking views. Non-skiers can have fun on the frozen lake during the continuous events taking place there. Cross-country skiers have over 200 kilometers of trails to explore. The tobogganing, hiking and sleigh rides through the Alps are outstanding. Corviglia and Corvatsch have blue and red runs for the novices and intermediates. Hahnensee and Lejins have long black runs. Corviglia is also home to several Olympic runs. There are obstacle parks and a wealth of snowboarding opportunities as well. Cross country skiers can choose from miles of trails through the lateral valleys and frozen lakes. Non-skiers won’t be bored on a trip to Switzerland. Skating, tobogganing, ice climbing, Nordic hiking and sleigh rides are available at nearly every resort. Each area has their own wonderful restaurants, charming shops and thriving nightlife. When you leave the slopes, or if you never ski at all, you’ll find an abundance of activities in Switzerland. Rather than dragging your own equipment with you, check into renting your gear. You can rent everything you need at all the resorts. 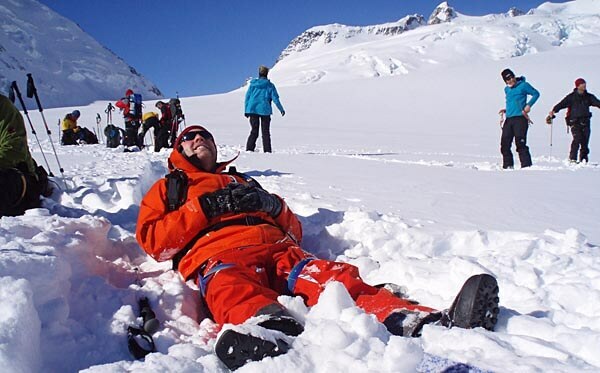 In addition to the convenience, you can try the best ski equipment. You can also rent from ski valets who will come to your hotel to pre-fit your equipment, so you don’t miss a minute on the slopes. Rental packages are available for all levels of skiers. Some offer a discount on the price of rentals in their ski package price. You can reach Switzerland easily by any means of transportation. Zurich, Geneva, Bern and Basel have international airports. An Interrail Pass is good across Europe, if you're planning to travel beyond Switzerland. France, Austria, Italy and Germany offer highway access to Switzerland, if you prefer driving. For travel within Switzerland, get a Swiss Travel Pass for train and bus accommodations. The Swiss railway, Schweizerische Bundesbahnen, offers excellent service within the country. Last updated by jack on 18 October, 2011 in Travel.